Kamal Haasan fans have turned exuberant with the glad news from their matinee idol about his upcoming film ‘Thoonga Vanam’. The shooting is all set to begin in Chennai very soon and the team intends to can important portions on the sets erected in Chennai and Hyderabad. 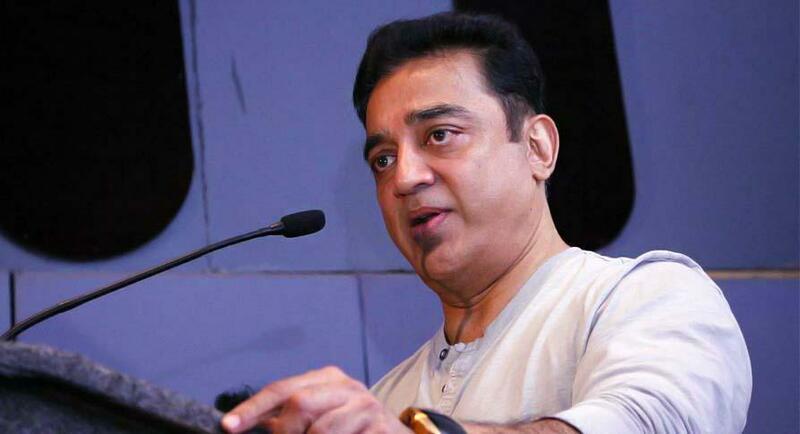 Kamal added that the team has planned out a 40-day schedule during which the film will be canned. Directed by Kamal’s associate Rajesh, the film has Trisha playing the female lead along with Prakash Raj, Manisha Koirala, another young heroine. Ghibran scores music for 'Thoonga Vanam'. Uma Riyaz Khan has now been signed up to do an important role and the beautiful lady is all excited to be a part of such a prestigious project. “We are happy to share the news that Raj Kamal Films’s next film would be a bilingual project by May 24. Before that, I thought that it’s the duty to inform you on this. There are many titles given by the over enthusiastic friends over the title, but we have finalised the only titled ‘Thoonga Vanam’, a jungle that doesn’t sleep. We will be shooting the first schedule in Hyderabad. Since the film is made in two different languages, we are doing the best to savour the regional audiences. My long time associate Rajesh is making his debut directorial with this film and Sanu Varghese, cinematographer of Vishwaroopam is cranking the camera and Ghibran will be composing music. Others in the cast and crew would be finalized shortly,” says Kamal Haasan, who continues to add that he would be soon bringing us the first look of this film.